Great unit with a ski in / ski out location. The Management Company is all about service - much appreciated. The Unit is well equipped, has modern appliances and is very "homey". I happily endorse this unit and it's ownership and management. If I was looking to be critical - the LR TV is a bit complicated and kept needing to be re-set. I believe the issue is the cable company. Amazing services by moving mountains! We had lift tickets and groceries waiting for us when we arrived. The condo was clean. We had 6 kids and 4 adults in our party and never felt cramped. True ski in - ski out. Door 2 door ski rental service was great - delivered skis and picked them up. We were truly impressed! Thank you!! 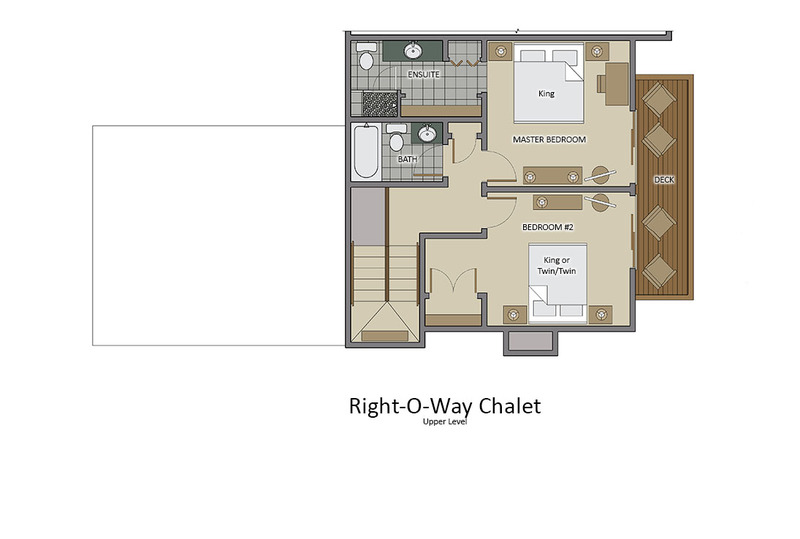 The condo is well suited for 2-3 families. It’s is a true ski-in/ski-out unit for intermediate and above skiers but novices might find themselves walking down to the ski run. The condo is not as spacious as the pictures lead one to believe. However, it is NOT cramped. It was very comfortable for our group of eight and would have been cozy with 4 more. Also, the hot tub is a bit of a hike, especially in sub-zero temps. The outstanding aspect of the property is the management company, which is super attentive and accommodating. We loved the space, it was perfect for our group! We visited over super bowl weekend, and the space was perfect for us. The best vacation- right on a green slope!! My husband and I visited in February with our two sons (2 and 4), my parents, and my brother and his girlfriend. The house was clean, comfortable, and well stocked. Our favorite part was the view of the slopes. Ski in-ski out can sometimes be misleading when trying to book a house, but this house is definitely ski in-ski out and we loved it. At the end of the day, even our two non-skiers would slide down the little hill and sit at the bottom to watch everyone come in for the day. It also made it very easy to get our little ones on the slope and was a perfect beginner run for them! The best part of the house (aside from ski in-ski out) was Moving Mountains. We booked through them and they took care of everything. I cannot say enough good things about them or their services. They answered every question I could come up with, and they booked our airport transportation (plus car seats), lift tickets, ski rentals (door2door brought them to our house), ski school, and outside activities (snow tubing, sleigh ride dinner, gave me info for hot springs shuttle). They also have a shuttle on call that took us everywhere. The drivers were always prompt, patient if we were being slow, and just so friendly. They took every bit of stress out of vacation planning for a family and made it the most enjoyable vacation I’ve taken to date. I didn’t deal with a single person there that was anything less than exceptional, and I wish I could book all of my trips through them. 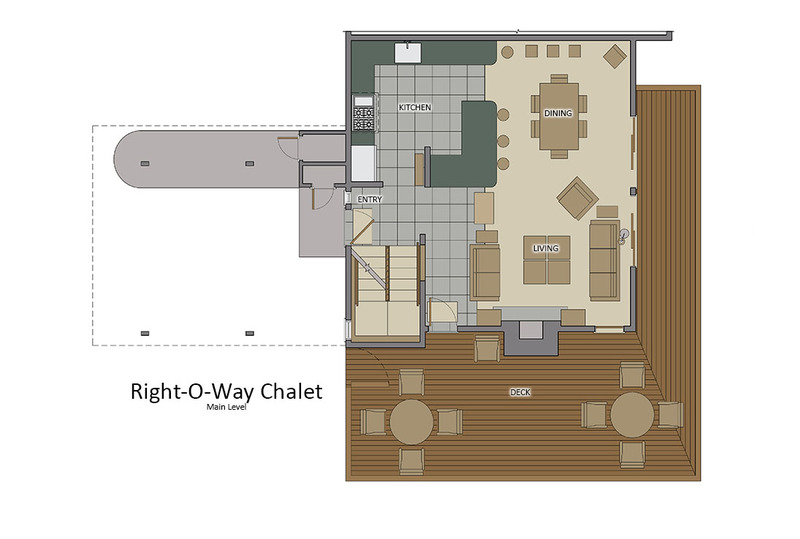 Bottom line.. right o way chalet was a wonderful home and location and the service we received put it over the top. We did not want to leave! We really enjoyed our stay. The townhouse is perfect. It has a beautiful view from the balcony. It was very clean and just what we expected. We would definitely recommend staying here. We were able to ski in & out from townhouse. The property management company was very nice and welcoming. Thank you! Visited Steamboat with 8 family members this past Spring Break (2 Seniors, 3 Adults, 3 young children). We could not have been happier with staying at Right-O-Way chalet managed by Moving Mountains. 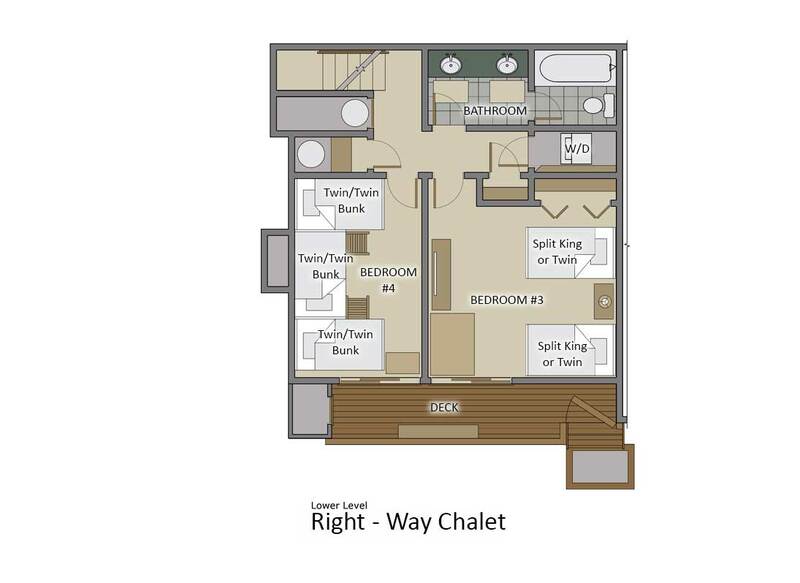 The Chalet has everything you need, is slope side, and very clean. The staff at Moving Mountains are what put the review at 5 star. They have their own shuttle service to take you wherever you need to go in town or own the mountain, and are extremely friendly. Shortly after we checked in a staff member stopped bye to make sure everything was in good order, and to give us a tutorial on the chalet. Would not hesitate to book from moving mountains again. great town house best location possible. Property is in excellent condition location is perfect ski in and out. Awesome. We were 11 adults - including five 17 to 20 year olds! We've been to Steamboat many times and always enjoy it! It snowed a few inches each day which made for wonderful ski conditions. This townhouse is on the Right-O-Way green run which leads down to the base. The accommodations were very nicely appointed with nicer appliances and furnishings. The beds were all very comfortable, towels were higher quality, very nice quality soaps and shampoos, they even provided laundry detergent and drier sheets! The steam shower in the master bath was a big hit with everyone! Between the comfortable dining table seating, bar stools and living area seating, there was plenty room for all to comfortably be together. In the late afternoon, when the adults were done skiing, we'd pull chairs off the decks of our place and haul them down to the edge of the ski run with a cooler of libations and watch skiers returning at the end of the day. Some folks would stop and join us! Good times! My 75 year old mother and I tried snow shoeing for the first time at Fish Creek Falls. It was easy and the scenery was beautiful! I will try it again! The bunk room sleeps 6, but was not as spacious as it appeared in the photos on the internet - it was tight with all 3 sets of bunks touching each other! Probably more suitable for smaller children - our teenagers are all very tall which only made the space feel that much smaller. While this is a ski in/out property, it's more of a hike in/out. Getting back to the room required a good bit of polling and invariably, even if you had enough speed coming off the run to get up the hill, there was always another skier stopped on the little trail leading up to the stand of townhouses, which prevented us from getting higher up the hill before polling or walking. Skiing out was possible if you were a high intermediate skier and no one else was on the trail. This 4 bedroom 3 bath condo is right on the Right-O-Way ski run, but it's more of a climb up/climb down. We had great snow but would have preferred better access to the run. The condo itself was very nicely appointed. Beds were comfy and it had nice appliances. The bunk room is tightly packed - it looked bigger in the photos.